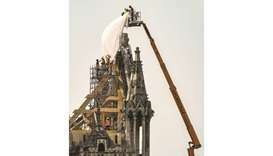 Man enters cathedral with full gas cans and lighters A 37-year-old man was charged yesterday with attempted arson, reckless endangerment and trespassing after he walked into St Patrick’s cathedral in New York City with two full gasoline cans, lighter fluid and lighters on Wednesday, police said. 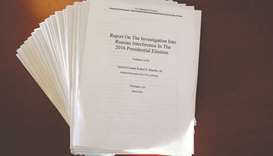 Mueller Report details moves to impede inquiry Special Counsel Robert Mueller’s report on his inquiry into Russia’s role in the 2016 US election detailed a series of actions by President Donald Trump to impede the probe, raising questions about whether Trump committed the crime of obstruction of justice. 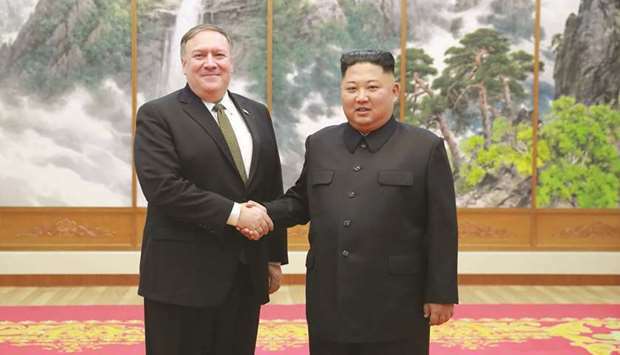 N Korea demands Pompeo’s removal from nuclear talks North Korea yesterday demanded the removal of US Secretary of State Mike Pompeo from talks over its banned nuclear programme, hours after the isolated state claimed to have tested a new kind of weapon. 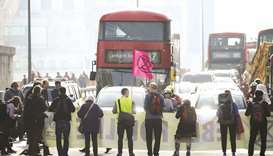 Sporadic violence as millions vote in second phase of polls Millions of voters across swaths of southern India cast ballots early yesterday in the second phase of a mammoth, staggered general election, as sporadic violence flared in the east and Jammu and Kashmir. 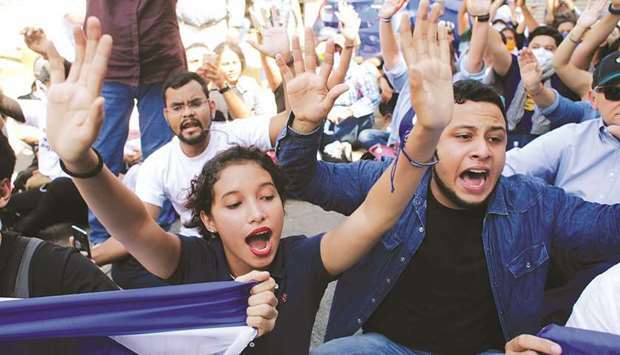 67 held at Nicaragua opposition protest rally Nicaragua’s opposition said at least 67 people were arrested after defying a protest ban and a heavy riot police presence on the streets of Managua to mark the first anniversary of a deadly uprising against President Daniel Ortega. 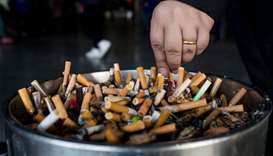 Time: Imran is among ‘100 most influential people’ Time magazine has published its list of the “100 most influential people” for the year 2019, naming Prime Minister Imran Khan, Malaysian Prime Minister Mahathir Mohamad, Abu Dhabi’s Crown Prince Mohamed bin Zayed, and New Zealand’s Prime Minister Jacinda Arden on the list. “I believe profoundly that we need to turn this catastrophe into an opportunity to come together,” French President Emmanuel Macron said in a televised address after the Notre-Dame blaze this week. 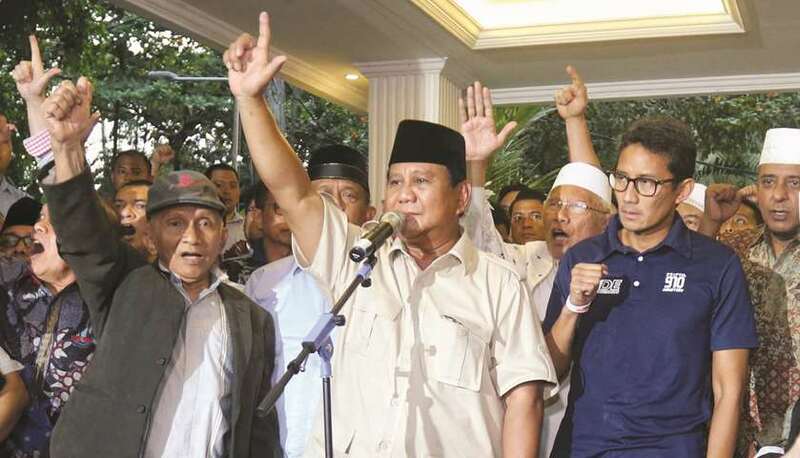 Indonesian authorities warned yesterday against unrest as a firebrand ex-general rejected unofficial election results that appeared to hand President Joko Widodo another term as leader of the world’s third-biggest democracy. A 37-year-old man was charged yesterday with attempted arson, reckless endangerment and trespassing after he walked into St Patrick’s cathedral in New York City with two full gasoline cans, lighter fluid and lighters on Wednesday, police said. 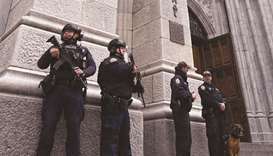 Special Counsel Robert Mueller’s report on his inquiry into Russia’s role in the 2016 US election detailed a series of actions by President Donald Trump to impede the probe, raising questions about whether Trump committed the crime of obstruction of justice. 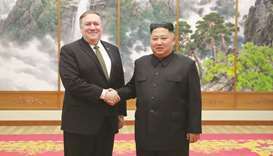 North Korea yesterday demanded the removal of US Secretary of State Mike Pompeo from talks over its banned nuclear programme, hours after the isolated state claimed to have tested a new kind of weapon. 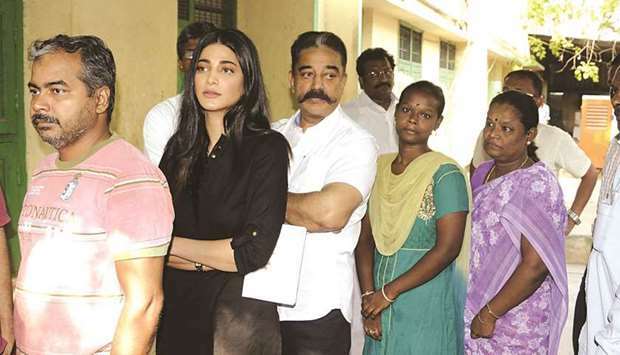 Millions of voters across swaths of southern India cast ballots early yesterday in the second phase of a mammoth, staggered general election, as sporadic violence flared in the east and Jammu and Kashmir. A site containing the 220mn-year-old fossilised remains of nearly a dozen dinosaurs has been discovered in western Argentina, researchers said. 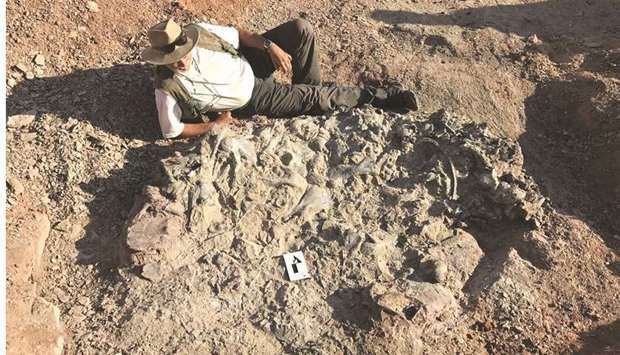 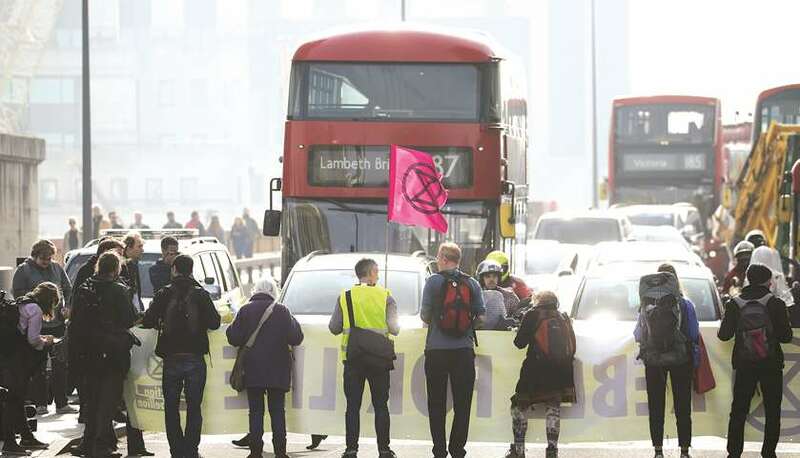 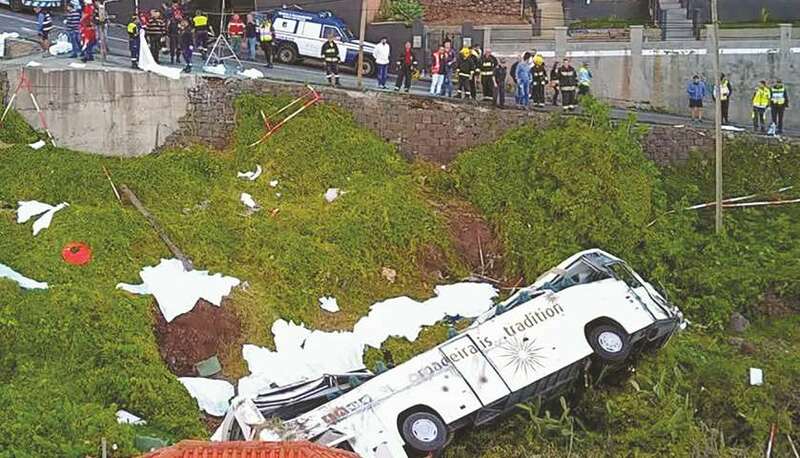 “There are almost 10 different individuals, it’s a mass of bones, there’s practically no sediment,” said Argentinian palaeontologist Ricardo Martinez. 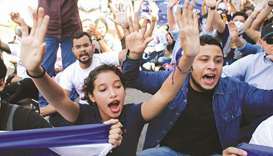 Nicaragua’s opposition said at least 67 people were arrested after defying a protest ban and a heavy riot police presence on the streets of Managua to mark the first anniversary of a deadly uprising against President Daniel Ortega. 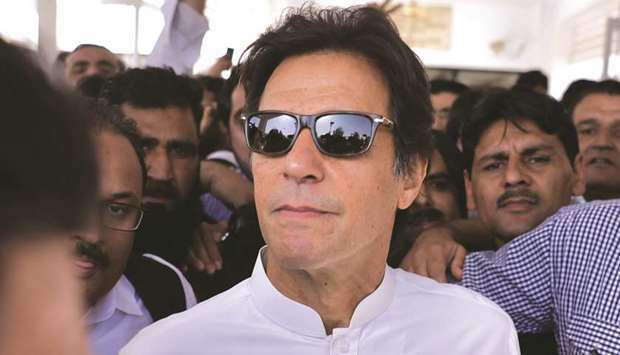 Time magazine has published its list of the “100 most influential people” for the year 2019, naming Prime Minister Imran Khan, Malaysian Prime Minister Mahathir Mohamad, Abu Dhabi’s Crown Prince Mohamed bin Zayed, and New Zealand’s Prime Minister Jacinda Arden on the list. In a sweeping move, Prime Minister Imran Khan axed Asad Umar – one of his most important ministers and party stalwarts – yesterday ahead of a crucial bailout package from the International Monetary Fund (IMF).